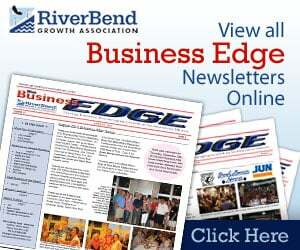 RiverBender.com is a local portal and community website created to bring renewed interest to all that the River Bend area has to offer, and to help revitalize the local economy. The site, which launched on Halloween day 2005, was created by Alton native John Hentrich and his wife, Dawn who have been involved in internet marketing and web site design for over a decade. Their first successful business, World Wide Wheels, was sold to AutoTrader.com and the profits have been used to create RiverBender.com. The motivation behind their efforts is to see the area prosper and to generate more local business. In October, 2007 RiverBender.com received a Captain of the River Bend award from the Growth Association of Southwestern Illinois for outstanding commitment to the River Bend Region in the area of community involvement. RiverBender.com offers visitors local news and weather, autos, real estate, free classifieds, a business directory, high school sports, community videos, a restaurant and entertainment guide, coupons and shopping, forums, a community calendar of events, and so much more. Our goal is to be a complete resource for everything local.